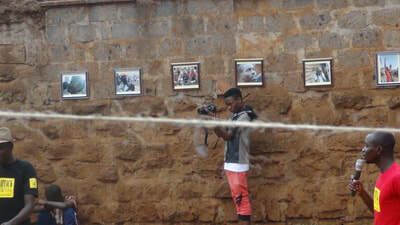 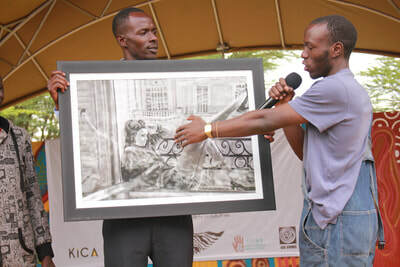 Good that they the community is full of talented artists… But when do they showcase their talents? And when do people get the opportunity to benefit from their work? 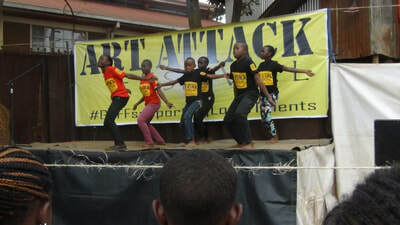 During the Art Attack Festival! 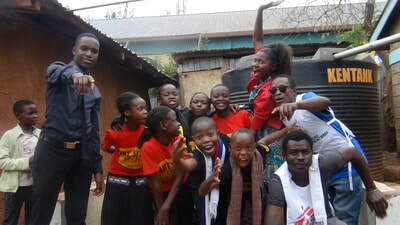 Taking place once a year, in the heart of Kibera, artists gather and perform music, dances, poetry, comedy, acrobatics… it is an important moment for the community to be proud of its members, welcome artists from other cultures and share/spread values of peace, solidarity and engagement with key issues affecting the community. 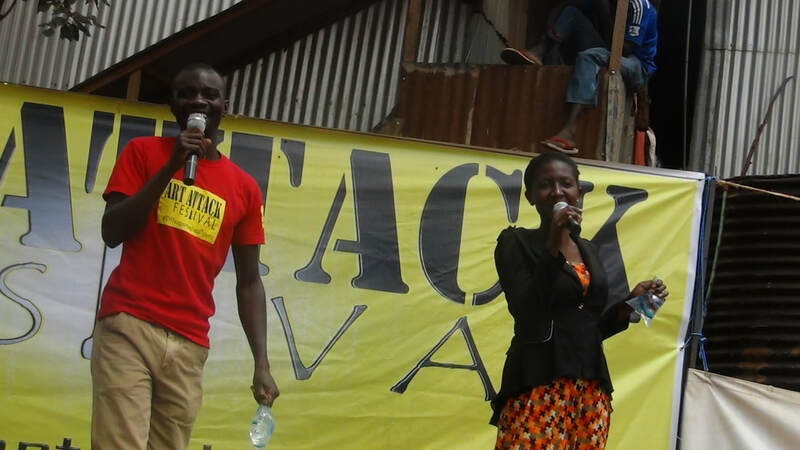 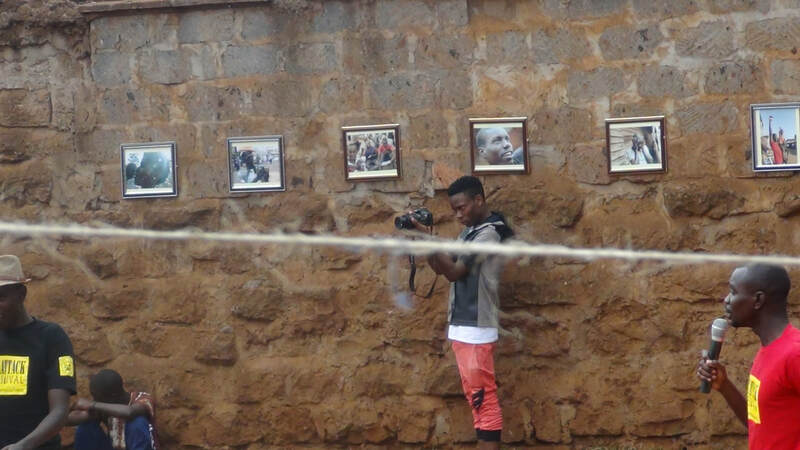 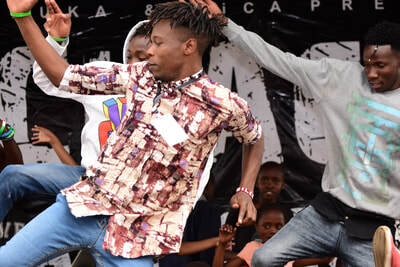 ​To celebrate the opening of our dear music studio we celebrated an amazing event happening in the hear of Kibera with a line up of incredible artists including rapers, singers, comedians, actors, spoken word performers and many more. 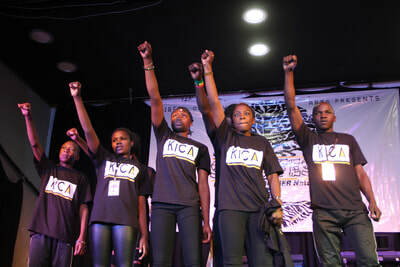 Looking back on post-election violence in 2007, our aim was to stand together for peaceful elections. 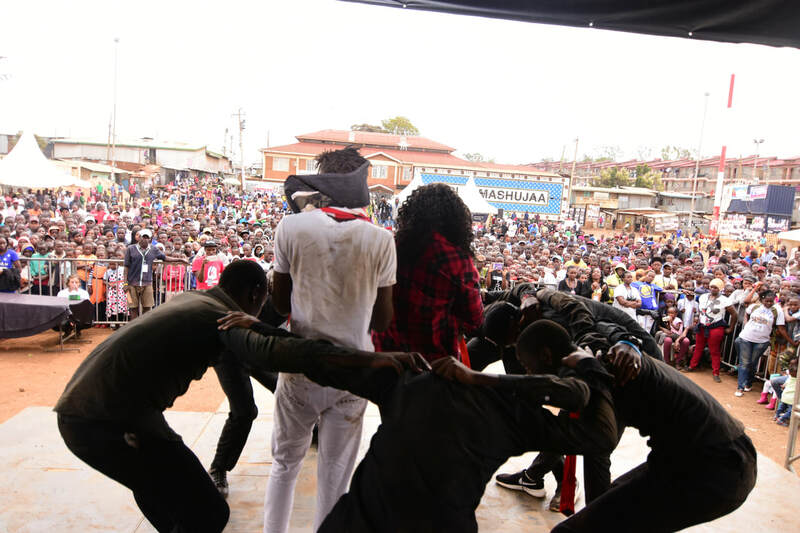 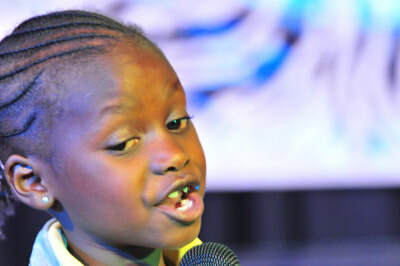 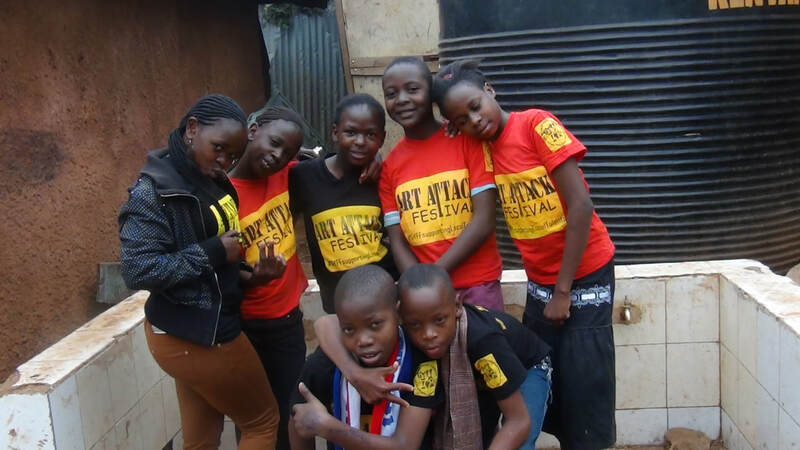 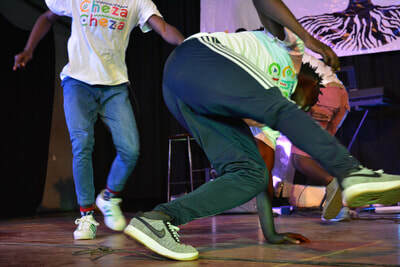 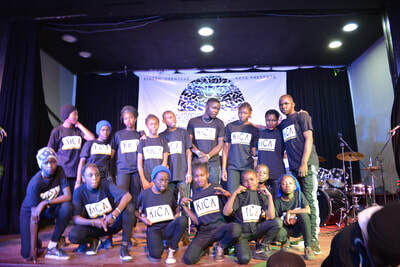 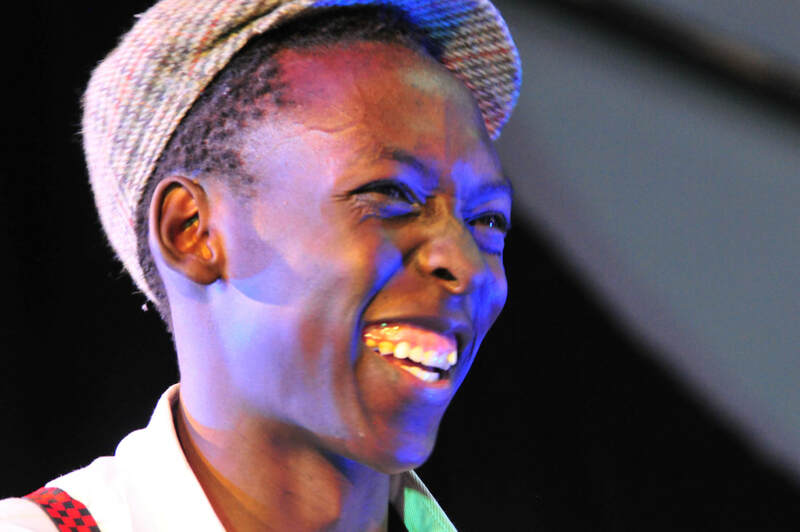 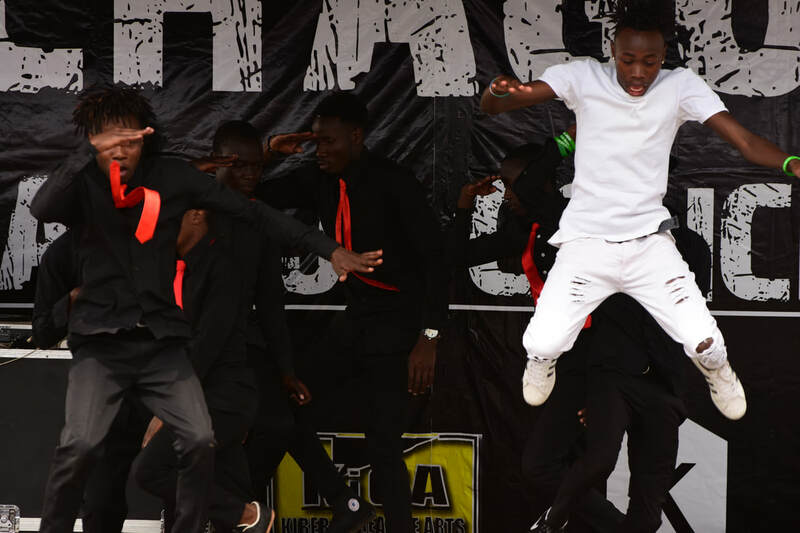 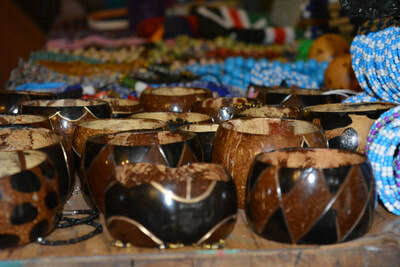 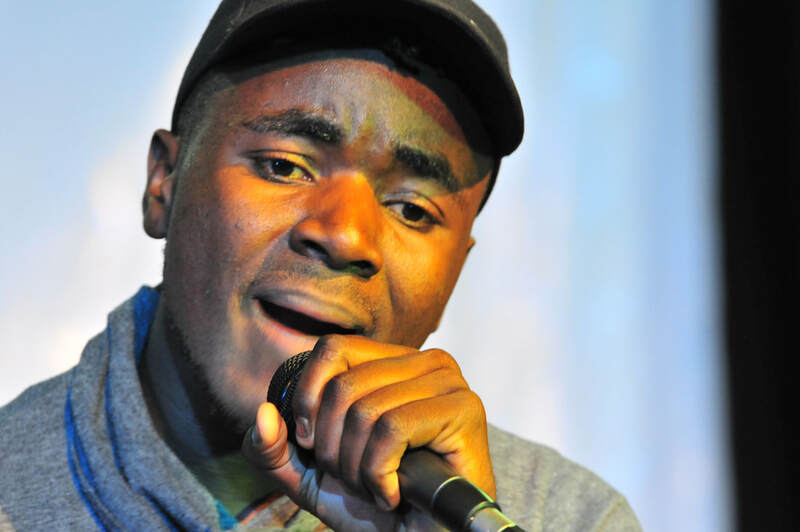 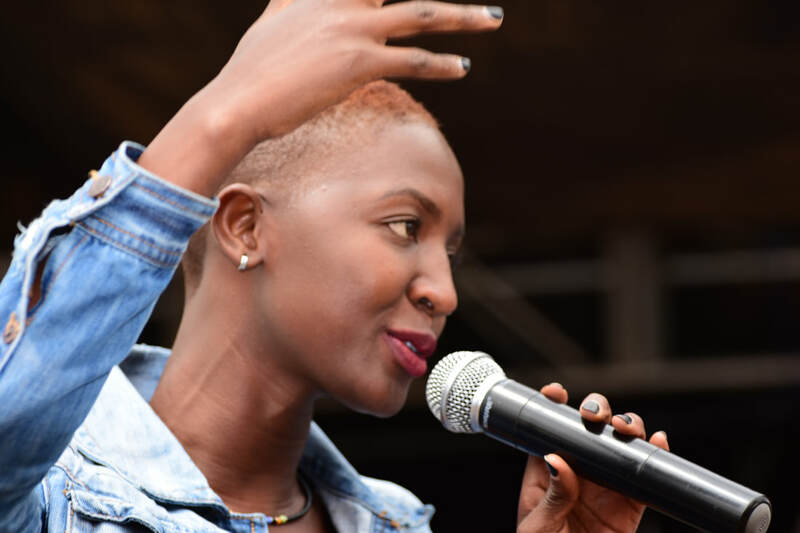 More than 100 artists were performing, from all over Kenya. 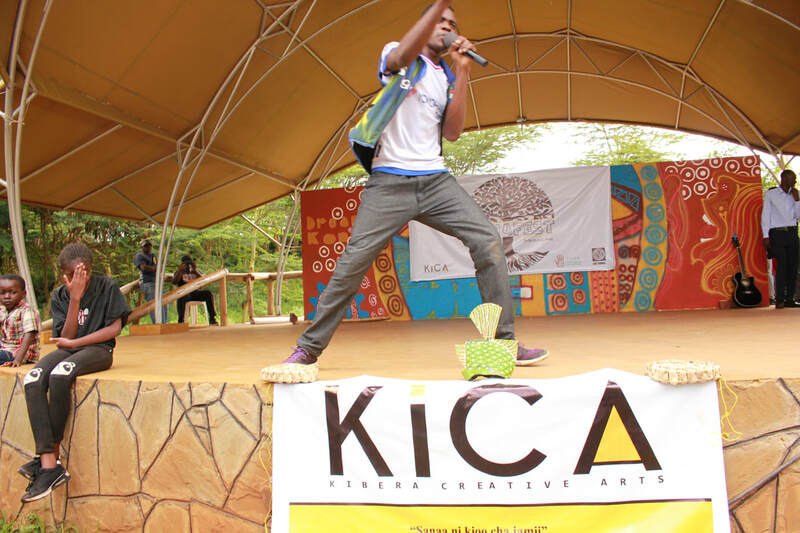 The power of arts and talented people was used to preach peace! 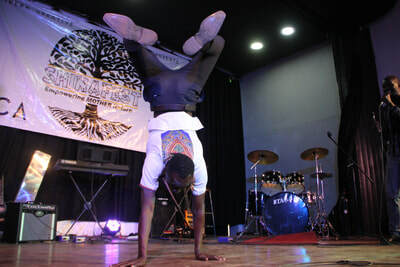 "Shina" is the Swahili word for "tree trunk". 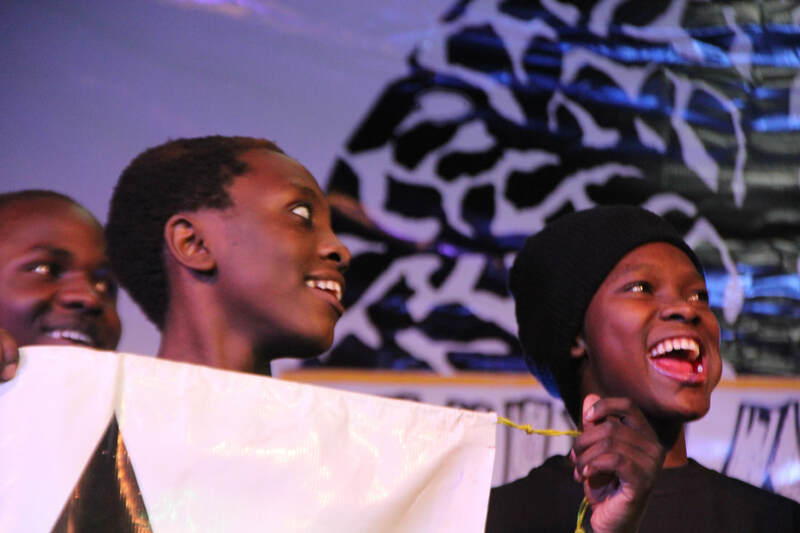 The trunk nurtures the whole tree from the ground and gives exposure to its leaves. So does Shina Fest with its artists! 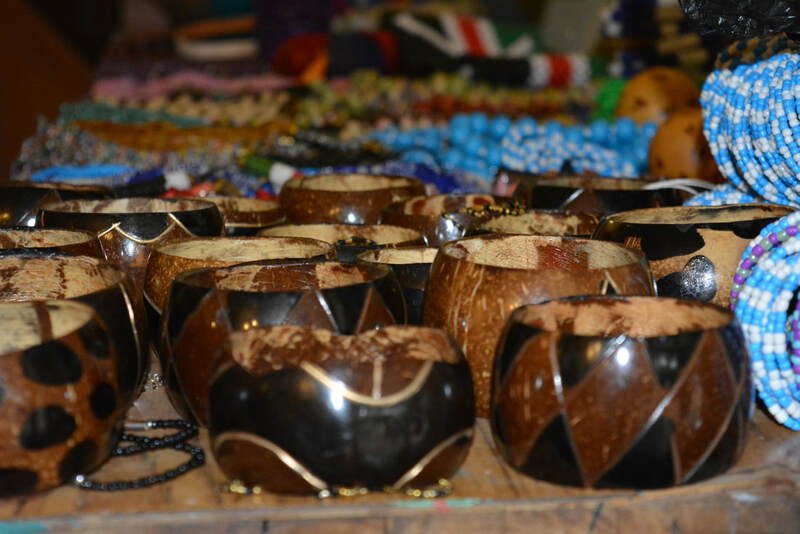 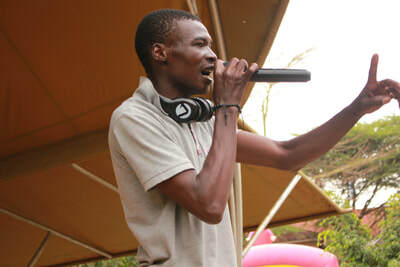 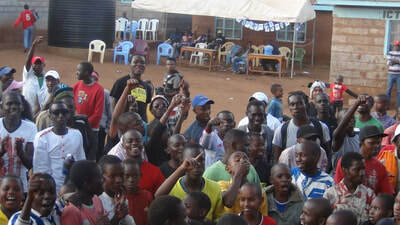 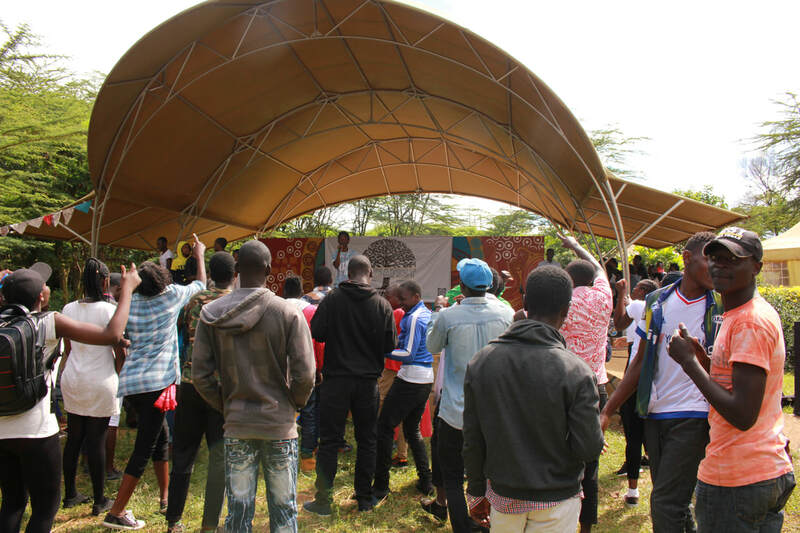 The first Shina Fest was held in Uhuru Gardens with more than 300 visitors. The platform allowed upcoming artists to nurture and exhibit their talents to the outside world. Through the exhibited arts and crafts, visitors could find some new, raw artistic works. 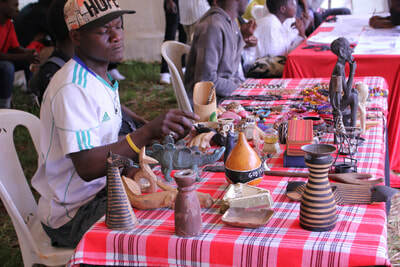 ​The theme of this first Shina Fest: Culture in Arts and Arts in the Culture. 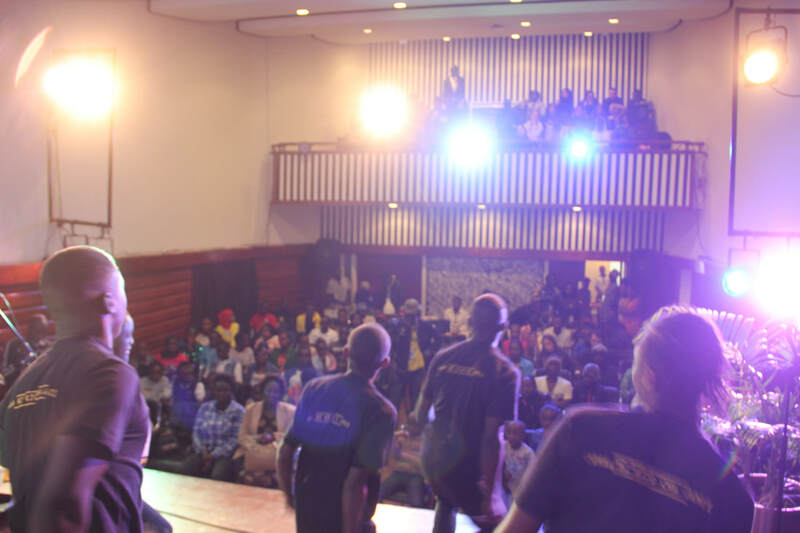 Our second Shina Fest took place at the Kenyan National Theater. This time with the theme "Empowering mother nature"! 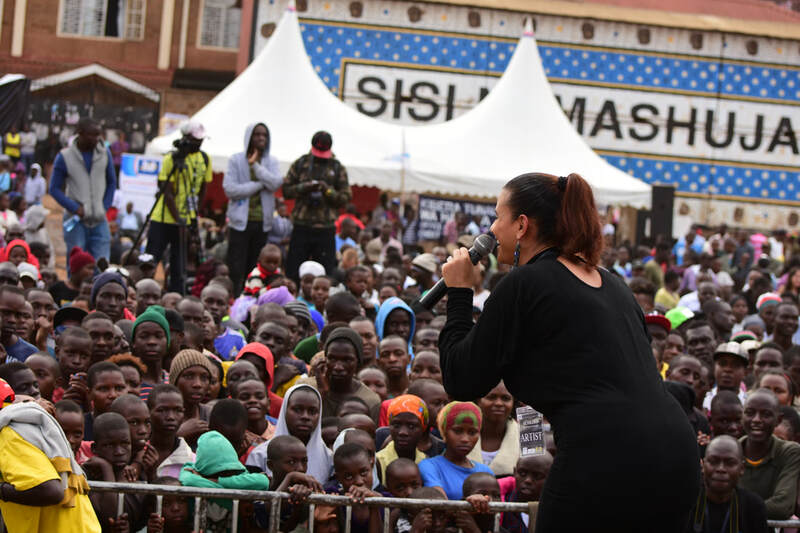 Women need to be celebrated, be it sisters, mothers, friends.. They are great! 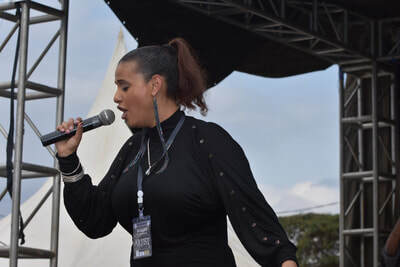 And first of all: The mother of all of us, mother nature. 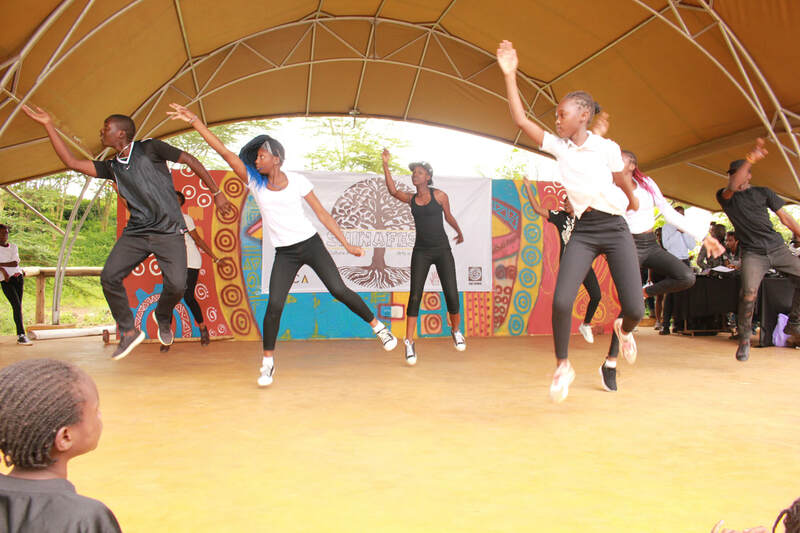 Artists created awareness about the importance of respecting and preserving the environment.